Times are a changing people! And so many of you are realizing how easy [ and fun! ] it is to implement STEM plans into your day. 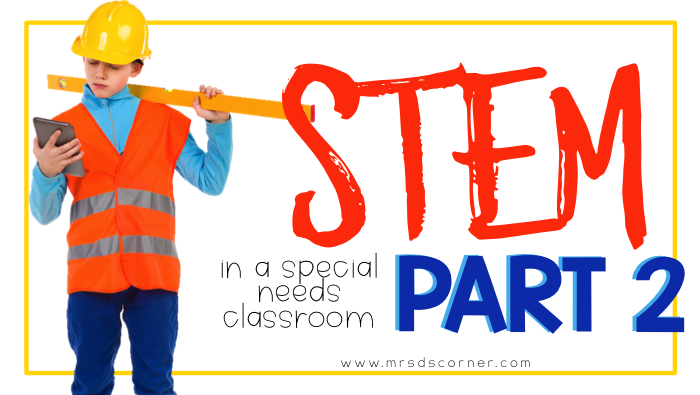 It’s officially been one year since I started implementing STEM into a self-contained setting (You can read STEM for Students with Special Needs: Part 1 here), and I’ve learned so much in the process. 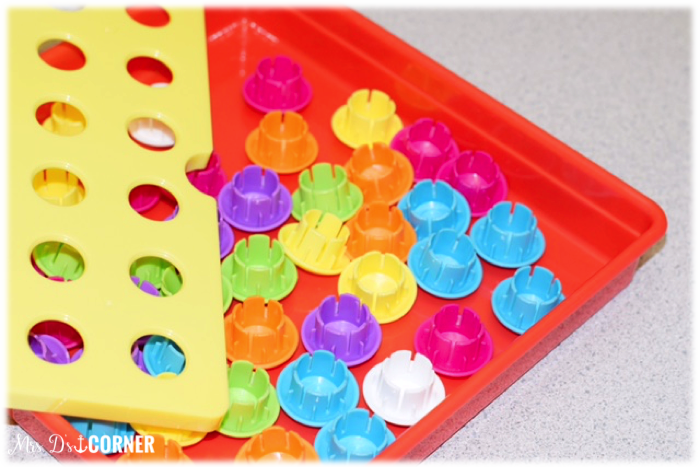 In this learning process, I have also discovered a ton of AMAZING resources to include in centers, free time, and motor lab. So today I want to share my favorite resources that I know your students will love too! You will find links for purchasing each resource, and an explanation of how I use each one in my classroom. Some links may be affiliate links, but this is not a sponsored post. Any and all opinions are my own. 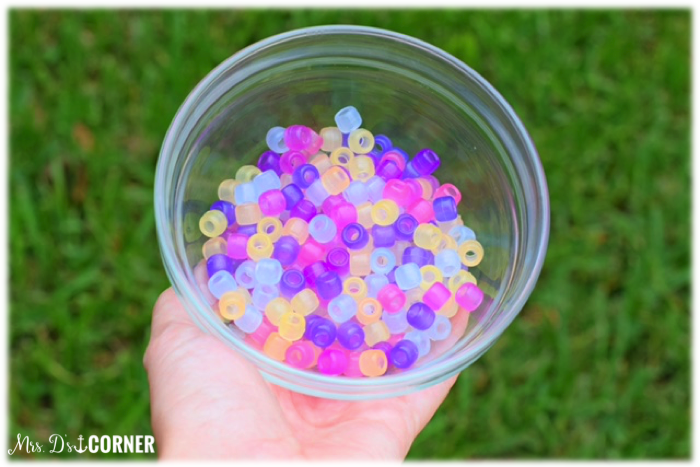 Pony beads are great for any fine motor task. They’re small, but large enough to string on pipe cleaners and shoe strings. 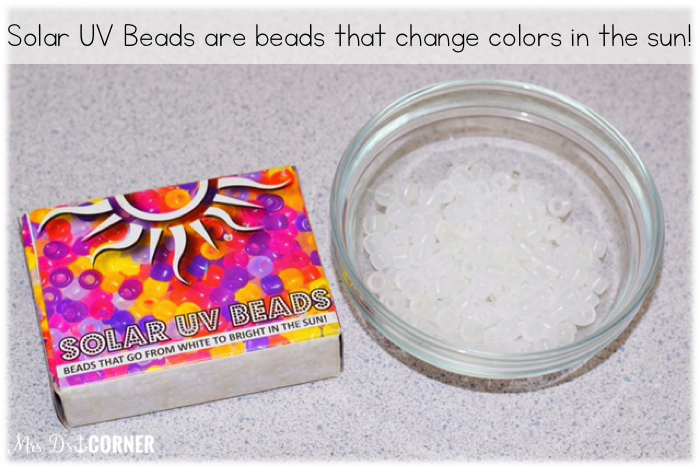 I put these solar beads in our kit, and then let the students wear them outside for recess. Needless to say, they were super excited to see them change color (and how fast they changed!). 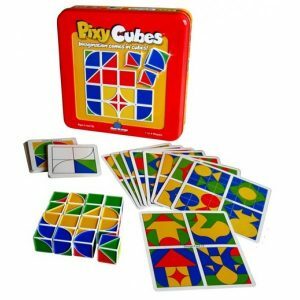 I had never heard of this puzzle game before, so I was intrigued when Amazon suggested it for me. Of course it was immediately added to my cart! This was one I needed to try out before letting the kids get their hands on it. I wanted to make sure I knew how it worked before explaining it to them, but it’s actually quite simple. 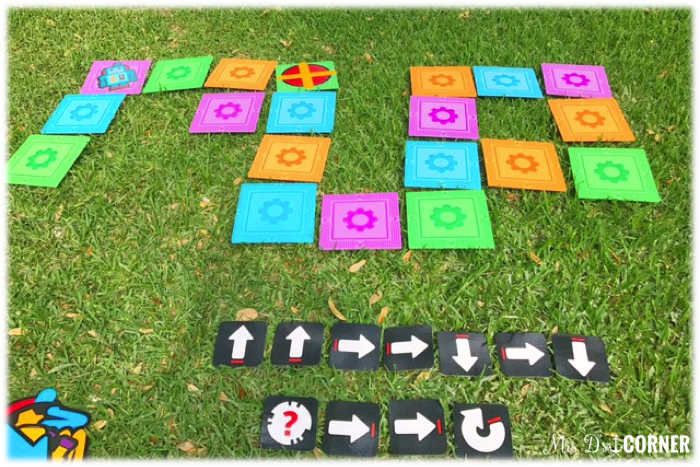 Included are different mats that have different puzzles on them. 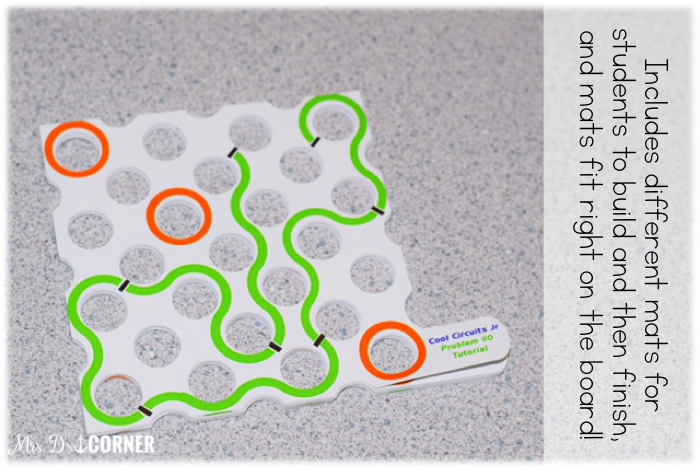 These mats are a FANTASTIC visual for students. The only thing I needed to show them on the mats was what the black slashes meant (it’s the end of one piece, or where two pieces join). 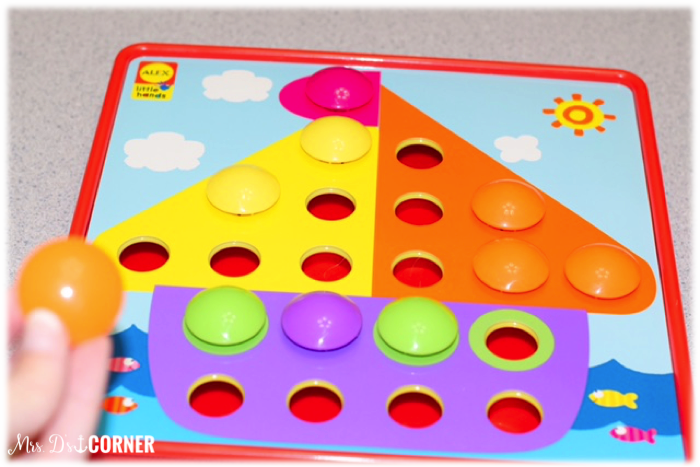 The mats fit right on top of the puzzle board, helping with the visual perceptions of the puzzle. Again, I really, really like the puzzle mats! 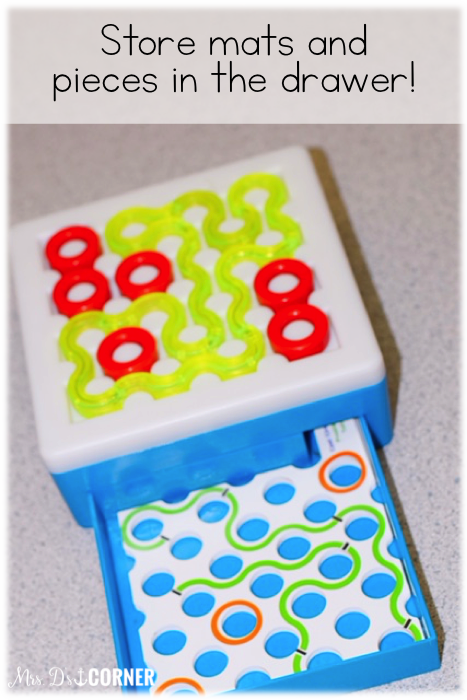 This is an example of one puzzle mat. 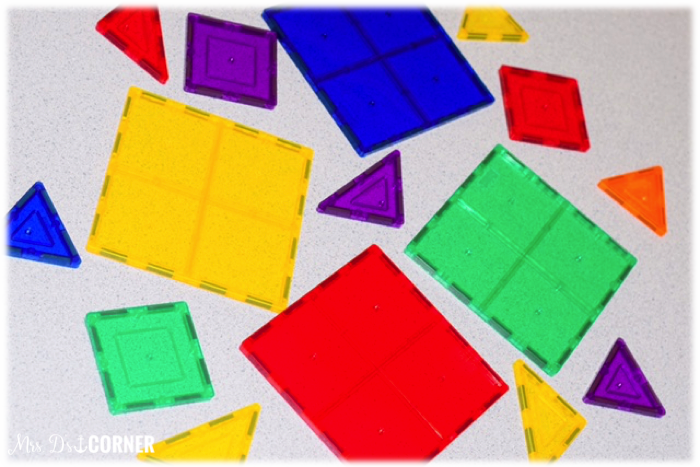 Students use the green and red pieces to mimic the puzzle mat on the actual board. Pieces sort of click in with one another, joining the circuits. After recreating the puzzle mat, you’re left with a few pieces to finish the puzzle. Pieces already on the mat can’t be moved, so it’s a great activity for brainstorming and trial and error. It really gets their brains thinking! Did I mention that it’s a self-checking activity?!! When a student is finished with the puzzle mats and pieces, they can put them in the small drawer on the side for easy and accessible storage. 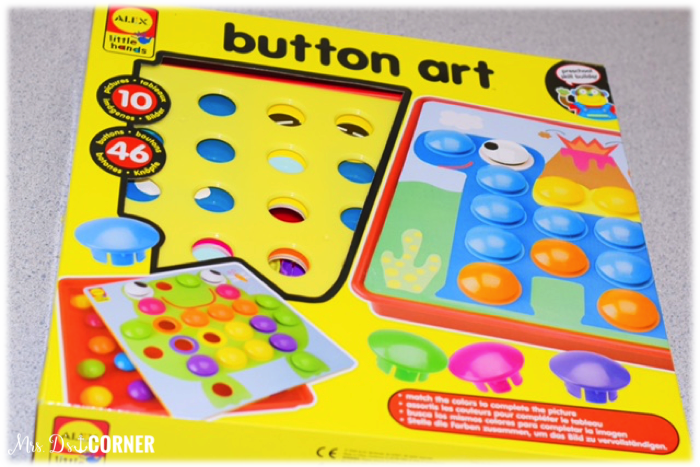 Button Art is a great STEM and fine motor activity for younger students, or students with lower ability levels. The goal of this activity is to match the colors on the mats with the buttons, filling in (or coloring in) the pictures. …they can easily be stored under the button lid with all of the buttons. Simple and easy storage and clean up. 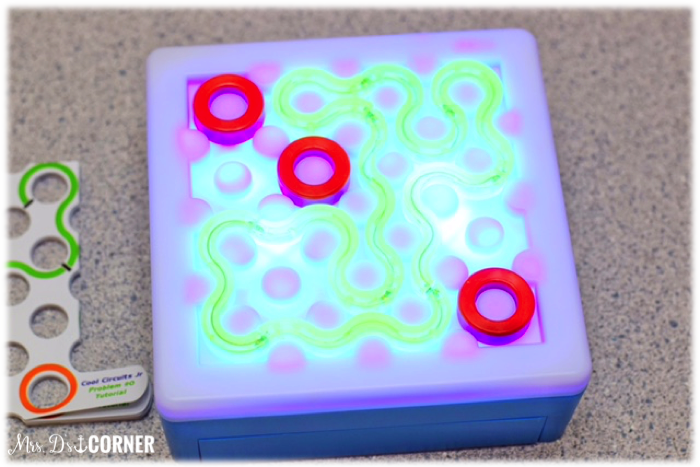 Students simple choose a mat, place it on top of the button lid, and use the buttons to complete the pictures. The buttons kind of click in to the lid, but aren’t too easy or to difficult to put in or take out. It really is the perfect fine motor task! Coding, to me, seems very complex… but it is still a skill that I wanted my students to have experience with. So I purchased this resource from Learning Resources to help introduce the concept. We started out using it in the classroom, creating our own mats and following directions by following the direction of arrows (up, down, left, right, turn around). 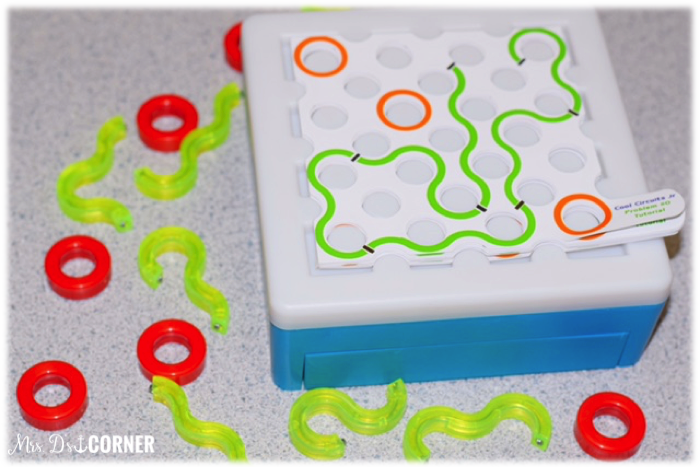 Once we got the basics out, I began to let students explore on their own. But I know what you’re thinking… why is it in the grass?! Because I want to show you that it’s GREAT for recess too! 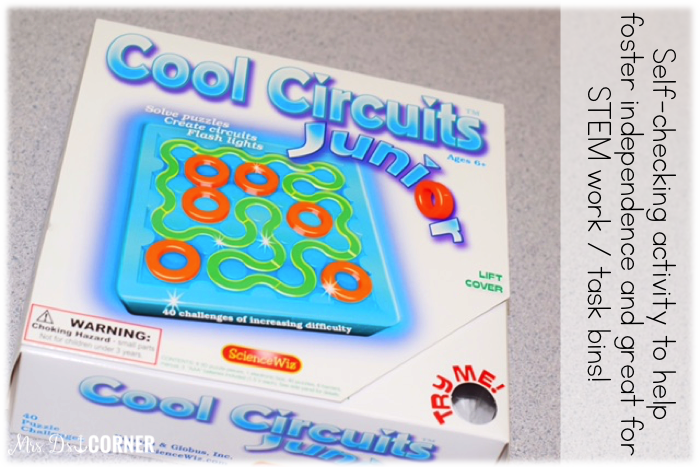 Yeah, no joke… you can take this set outside and let’s student code at recess. Now I don’t make them take it to recess, but they can certainly request to take it outside with them. I keep all of the pieces in an easily accessible sterilite container that my students can also use for Motor Lab. 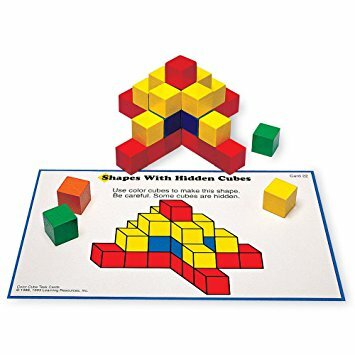 Whether they’re creating patterns with the colored mats or with the arrows, or making puzzles together, I like that this set is fostering a STEM mindset, even if we aren’t always using it for it’s intended purposes of coding. 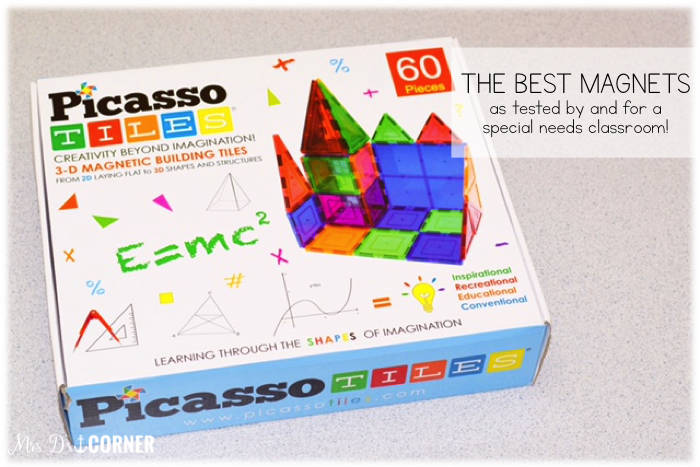 Let me just say that I have tried a handful of different brands of these magnet tiles, and the PicassoTiles are by far my absolute favorite! I started with the 60 piece set, but they do have larger and smaller sets. Why do I prefer PicassoTiles over the other brands? 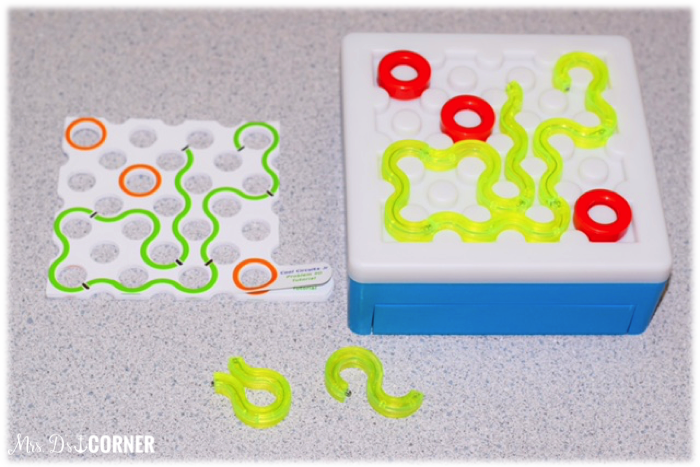 I had the opportunity to play with these since ordering STEM supplies for my classroom, but haven’t yet introduced them to my classroom. These magnets are S.T.R.O.N.G. and the set comes with an instruction booklet. 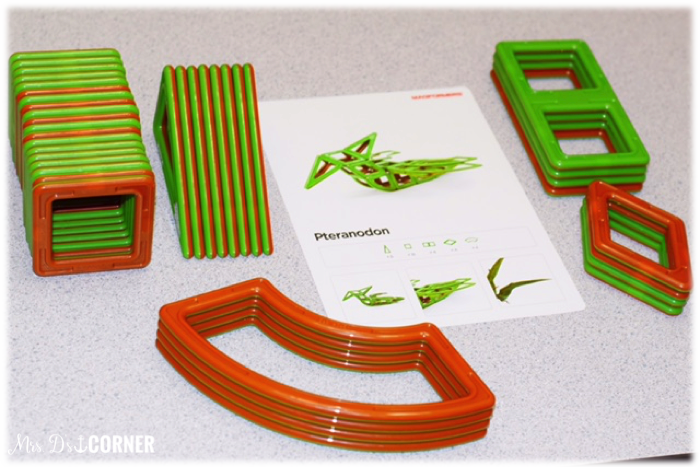 The things your students can build with these magnets will absolutely. blow. your. mind. They do have smaller and larger sets available too. One tip is to beware of this set around students who like to put things in their mouths. This set does include smaller pieces, so you’ll want to keep an eye out. It should be no surprise that I bought a dinosaur themed set of magnets. I love dinosaurs, so I was super intrigued by this set (okay, maybe it was a little more for me than for the kids!). There are no instructions on how to put the dinos together, so you kind of just have to look at the pictures and figure it out on your own. I can see this being difficult for some of my little friends, but I’m sure that some of my other friends would rock this. 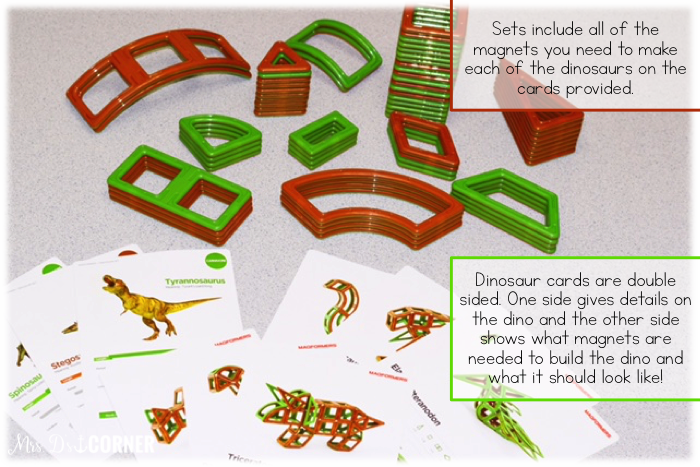 For that reason, I’m going to just add it in with the other magnet set and let students use their imaginations with all of the different shapes and sizes. 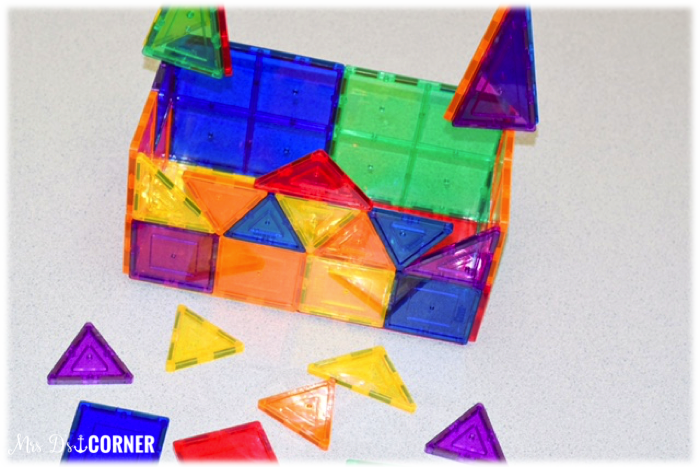 Every teacher has access to a set of pattern blocks in a closet somewhere. 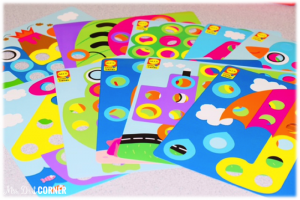 These activity mats are great for all levels of students. I didn’t purchase this set because I already have a set that was gifted to me from the previous teacher. 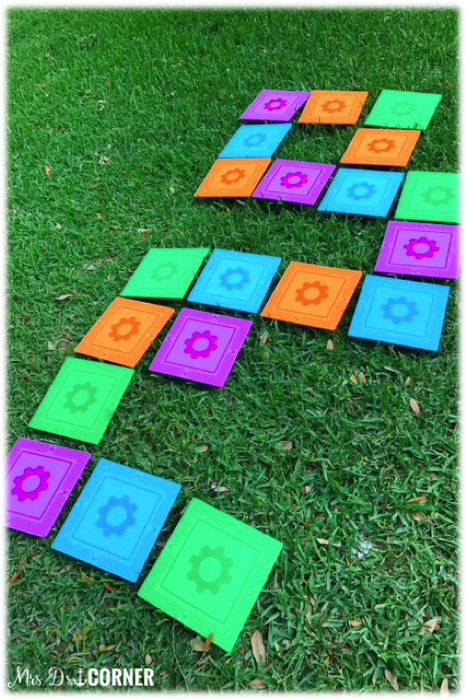 You can easily make your own mats too (or have students make their own creatures out of the pattern blocks!). This resource is currently on my Amazon wish list, only because it seems a little high for my current class. 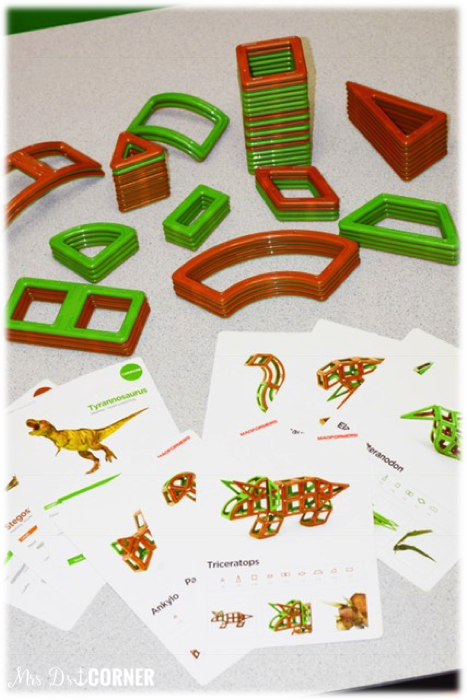 Students choose an image from the cards and manipulate the blocks to recreate the image. 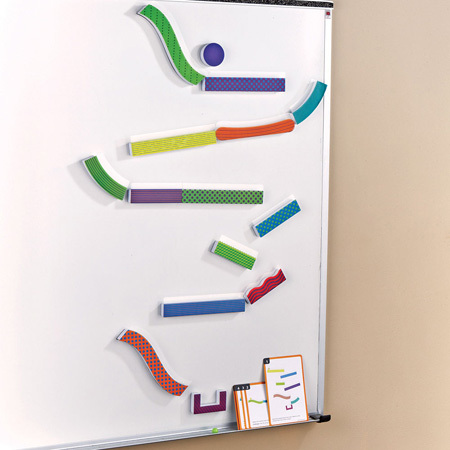 I have seen this set used in other classrooms before and words can’t describe how much I love it. 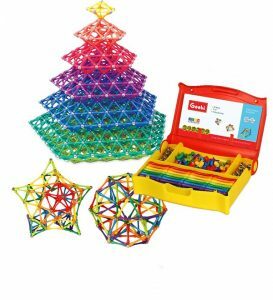 Not only is this great for STEM centers and Motor Lab, but it’s a great kit to have for when indoor recess sneaks up on us. It’s a STEM resource that is definitely on my next STEM purchase list. I’m keeping this set on my wish list too, only because the skill is a little high for my current class list. 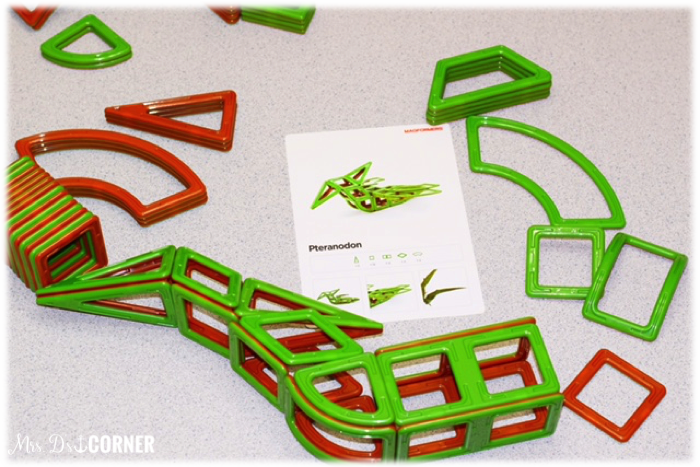 What other resources do you use in your classroom to foster and help develop the STEM mindset and skills? Tell us in the comments below! This is amazing! I’m looking to beef up my kindergarten/first grade curriculum next year. Tired of following something that isn’t working for my kids. Thank you for such wonderful inspiring ideas. Keep up the good work! Which curriculum would I use for my special education 9-12 students?